I just discovered (by not being able to connect via FTP) that the Unix servers where my American lit sites are housed have been decommissioned and the sites have probably moved to WordPress by WSU, which didn’t inform me about it. I won’t be able to do any updates until tech support returns my calls and gets me set up with the new server, so if you see any errors–sorry! For the past couple of years, my days have been all about the book, all the time (at least all the time I wasn’t teaching, serving on committees, and so on). It wasn’t just about the writing, which took a long time, but about the rewriting and revising, cutting, reshaping, fitting parts together in different configurations, trying out the ideas at conferences, and so on before you even turn it in to the publisher. Then there’s more fact-checking, copy-editing, permissions, reading proofs, and so on. 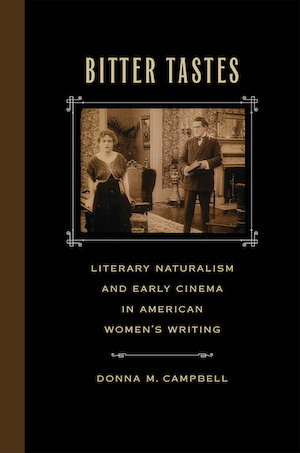 Now that Bitter Tastes is out, though, I’m working on updating the American lit site again in the spare corners of the day. A few of the bibliographies have been updated already and put into the new MLA 8th edition style, and a few pages have been cleaned up. I say “cleaned up” instead of updated, because although dead links have been removed, there are amazing resources still to add. Remember those little “Under Construction” signs that people used to have on web sites, like the Dunder Mifflin one Jim joked about in The Office, the one that showed “Coming in Christmas 2002” in 2007? I like the Stevens Point picture above better, but you get the idea. I’m updating the links on the Mary Austin page since they are out of date. A lot of links at the site are out of date because they lead to the University of Virginia’s etext library, a great resource in the early days of the web, since these were reliably transcribed editions. Now, however, these UVa resources have been locked down behind a subscription wall and are no longer available. I’ll substitute Google Books links when possible, since these have the benefit of showing the page images.